Certain aspects of one’s individual identity such as race, gender, ancestry, genetic makeup and so on, come naturally at birth. One could however consciously choose other aspects such as nicknames, profession, religion, hairstyles, ways of life, gender expression, et cetera to make oneself more unique. Between choice and nature, there are aspects such as nationality, history, psyche, social roles, which influence our sense of identity. Identity could simply be personal disposition, or an unwilling imposition by the society at large. In the age of globalisation, a local majority could easily become a minority in the wider world. As global citizens, we hope for and embrace the belief that elastic and flexible identities can bring diversity and progress, rather than confrontation. Belonging to the last generation of university of students under the colonial rule, Leung studied Fine Arts at the Chinese University of Hong Kong but witnessed the Handover as a reporter. Weaving through art and politics, she teaches, writes, researches, cooks, meditates and takes to the streets. 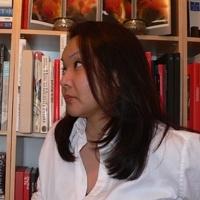 She was a member of Para/Site Art Space and In-Media (Hong Kong). Currently, she is a PhD candidate in Cultural Studies at the Chinese University of Hong Kong. Her research interests include, among others, artistic labour, city space and cultural politics. Her essays and commentaries have been published in the Hong Kong Economic Journal, InMedia (Hong Kong), City Magazine, Leap, etc. Publications edited by her include Modern Art in a Colony: Narrated by Hon Chi-fan at the Millennium, Odd One In: Hong Kong Diary (by Pak Sheung-cheun), QK – Specimen Collection of Chan Yuk Keung, The Red Twenty-years of Ricky Yeung Sau-churk etc. 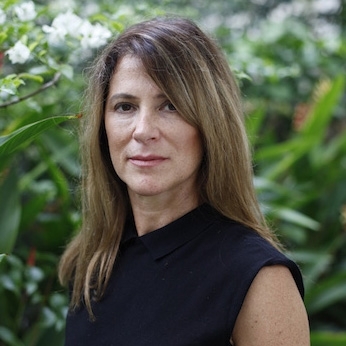 MaryAnn Camilleri is the founder and current Festival Director of The Magenta Foundation. Established in 2004, Magenta is Canada’s pioneering non-profit, charitable arts publishing house. Magenta was created to organize promotional opportunities for artists, in an international context, through circulated exhibitions and publications. Through its diversity with book publishing, online content and Flash Forward Festival Boston, the foundation is embracing the ever-changing technology era, forging alliances with international galleries, curators and artists. Magenta’s latest diversification and growth will continue through Magenta POP Pittsburgh.These POP UP exhibitions will have a permanent gallery in Pittsburgh in 2016. Magenta works with respected individuals and international organizations to help increase recognition for artists while uniting the global photography community. Margaret Ng is a barrister in private practice, having been called to the Bar in Hong Kong in 1988. She received her law degree from the University of Cambridge and PCLL from the University of Hong Kong. She holds a doctorate in philosophy from Boston University. She received her bachelor’s and master’s degrees in philosophy from the University of Hong Kong. She was formerly a Member of the Legislative Council of the HKSAR representing the Legal Functional Constituency. First elected in 1995, she stepped down in 2012, after serving the public for 17 years as a legislator. She has a long list of past service in public committees including the Central Policy Unit (1989 – 90) and the Operation Review Committee of the ICAC (1999 – 2004). She is also a noted commentator and writer in both English and Chinese. 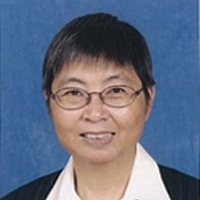 She was appointed Deputy Editor-in-Chief of Ming Pao Daily news from 1986 – 1987, and its Publisher in 1988 – 1990. She is the author of more than 12 Chinese titles. She continues to contribute to the media regularly. 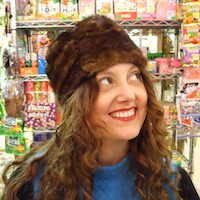 Lisa Botos is a cultural producer, curator and photo editor. Based in Singapore, she founded Botos., an arts-related, project-orientated initiative with a focus on advisory, curatorial projects and publishing. In 2008 she co-founded Ooi Botos, a contemporary art gallery in Hong Kong. Prior, Lisa was Picture Editor for Time magazine in Asia. 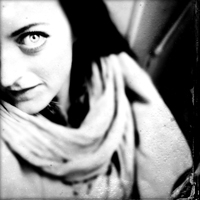 With her team and international photographers, they developed award-winning commissions. Lisa served as an international curator for the Vladivostok Biennale of Visual Arts 2013 and as an advisor for Photo Shanghai. She was an editorial ambassador for Punctum, a pan-Asian photography journal. An advisor to the WMA Masters from 2011-2016, she counselled on the development and management of the awards program. Lisa is a 2015 Fellow of the University of Hong Kong-Clore Advanced Cultural Leadership Programme, an associate curator for Artist Pension Trust (APT), a consultant for the Foundation for the Exhibition of Photography (FEP) and on the board of The VII Foundation. Fung Ho-yin has pursued professional education and training in photography and different areas of design in Hong Kong and UK. He is now working as Assistant Professor at the School of Design of The Hong Kong Polytechnic University. Creating art via alternative photographic processes is his specialism. He has been exhibiting locally and internationally, including Australia, Japan, UK, USA, France, Thailand and China. He held his first solo exhibition of Gum Prints in UK in 2007. He was selected as finalists of National Prints Exhibition (China), International Competition – Printmaking (Philadelphia, USA), and The International Print & Drawing Exhibition (Thailand). His works have been acquired and collected by The Hong Kong Heritage Museum, and museums in China including Shenzhou Print Museum of Sichuan, Gwei Yang Art Museum, Qingdao Art Museum, Shanghai Art Museum, Guangdong Museum of Art and the Shenzhen University. 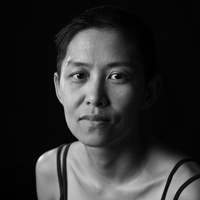 Ho-yin was elected into the Executive Committee of The Hong Kong Graphics Society from 2001 to 2009. He also co-founded the only open print art studio in Hong Kong in 2000 – The Hong Kong Open Printshop (HKOP), an open printshop to promote visual arts with an emphasis on image making and to provide art services to the public, including the annual Hong Kong Graphic Art Fiesta. Melissa Karmen Lee is the new Curator of Education and Public Programs for Old Bailey Galleries, Tai Kwun Arts Centre in Hong Kong. Previously, she was Senior Lecturer on faculty at the English Department at the Chinese University of Hong Kong for 8 years. 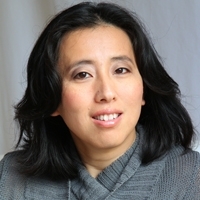 Lee has published on diaspora, transnational literature and visual art in a academic publications including ‘Welcoming the Other: Hospitality and Citizenship in Chinese American Fiction” (Routledge University Press, 2016), ‘Reconceptualizing Domesticity: Shifting Transatlantic Spheres in New World Female Narratives’ (Art and Aesthetics 2014). She has been an invited and keynote speaker at numerous panels and conferences including Sharjah Art Foundation March Meetings (2015) ‘Women in the Arts’ at the Asia Society Museum, Hong Kong (2013), and the ‘Arts Writers Convening’ at the Warhol Foundation / Creative Capital, Philadelphia (2011). 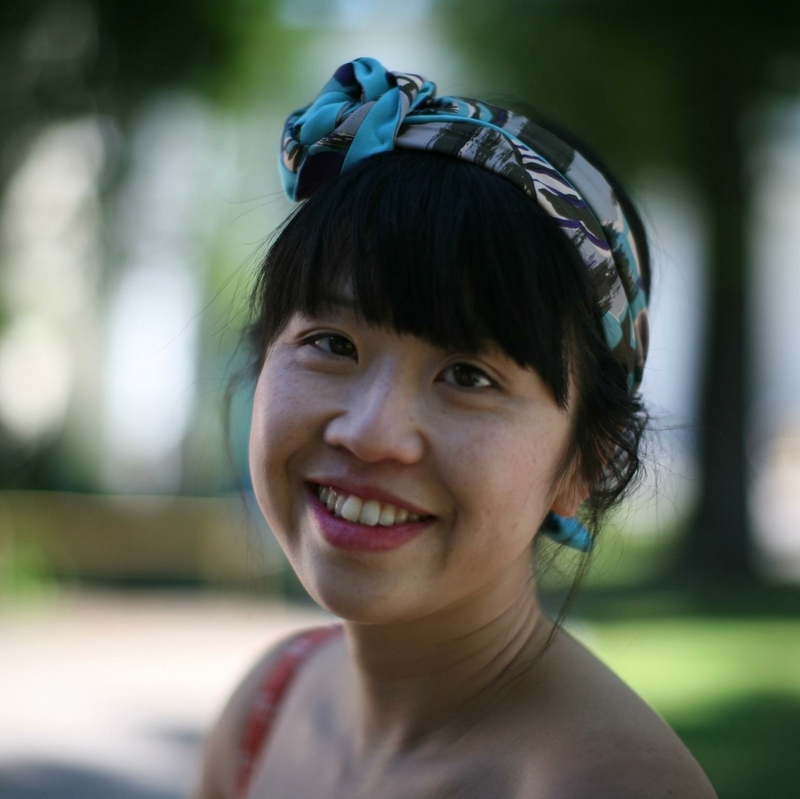 She gave a TEDX Hong Kong talk entitled ‘Translating the Human Experience” (2013). Lee is also a public art curator, consultant, and has worked on numerous projects in Hong Kong, China, New Zealand, United States and Canada. Her work on public art has spanned from graffiti commissions to outdoor large-scale sculpture parks, organized public seminars on the subject of Peace, to the creation of an online digital archive. In 2015 she was curator at large for Slought Foundation curating 2 cloud exhibitions ‘ The Jester’s Privilege’ featuring artist duo Young-Hae Chang Heavy Industries and ‘Add Oil Machine’ featuring artists Sampson Wong and Jason Lam. She is the founder of Fairytale Project, a 2011 online translation and research archive in collaboration with Slought Foundation and Ai WeiWei. Leong Ka Tai has been a professional photographer for over 25 years. Born in Hong Kong, he studied engineering at university in the USA and later worked in England. 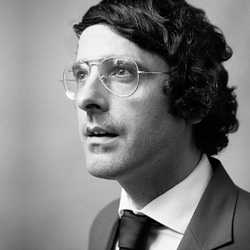 It was during a sojourn in Paris in the early 1970s that he discovered the artistic capabilities of the camera. Returning to Hong Kong in 1976, he set up his studio and subsequently combined photography with extensive travel, especially in China. Since then his photographs have been exhibited in Hong Kong, Europe, the USA and south-east Asia. They have been published in 21 books and numerous magazines, notablyNational Geographic, GEO, Life, the New York Times, the Sunday Telegraph and Paris Match. 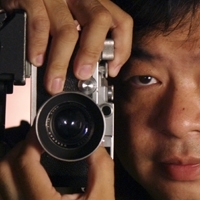 He has won local and international awards including ‘Artist of the Year’ from the Hong Kong Artists Guild and First Prize for Best Photojournalism in the 1994 Harry Chapin Media Awards (World Hunger Year), New York. Born in Scotland, Dr. Charles Merewether received his doctorate in Art History at the University of Sydney. He has built a large resume as an Art Historian and curator. 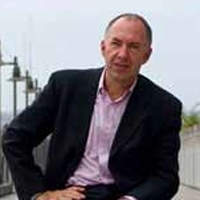 Between 2007-8, Merewether was the Deputy Director of the Cultural District, Saadiyat Island, Abu Dhabi for the Tourism Development & Investment Co. and in 2007 served as the Arts and Culture Consultant for the Emirates Foundation in the UAE and Visiting Professor of Contemporary Art in Suleimania, Kurdistan (2007). He was Chairman of the Advisory Board of the Hong Kong International Art Fair (2007-2009), Artistic Director & Curator of the Biennale of Sydney (2004-2006), Collections Curator at the Getty Center, Los Angeles (1994-2004) and Inaugural Curator of the Museo Arte Contemporaneo de Monterrey, Mexico, (1991-1994). Merewether has taught at the University of Sydney, Universidad Autonoma in Barcelona, the Universidad Ibero-Americana (Mexico City), and University of Southern California and been recipient of various Fellowships including Research Fellow at both the Institute of Advanced Studies at Jawaharlal Nehru University and ZKM, Karlsruhe as well as Senior Research Fellow at the Centre for Cross Cultural Research, Australian National University (2004-2007), Japan Foundation Research Fellow (2000) and Research Fellow at both Yale University and University of Texas. 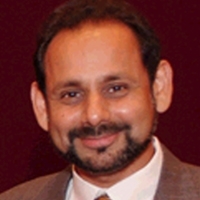 He is currently the Director of the Institute of Contemporary Arts (Singapore). a senior academic at Lasalle College of the Arts, Singapore. 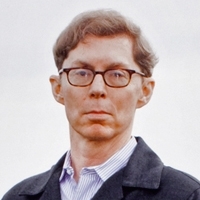 He has curated numerous exhibitions internationally and published widely on modernism and contemporary art in Europe, East Asia, Australia and both North America and the Americas. 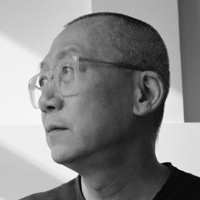 His recent book publications include a co-edited volume of essays After the Event, (Manchester University Press, 2010); Under Construction: Ai Weiwei (2008), Art, Anti-Art, Non-Art: Experimentations in the Public Sphere in Postwar Japan 1950-1970, (2007); General and Commissioning Editor, Zones of Contact (2006) and Editor, The Archive (2006). 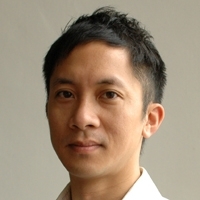 His recent professional practice includes his involvement in the 2011 NAC Advisory Panel, as a Jury for Singapore Pavilion participation at Venice Biennale in 2011, he was part of the EDB committee for Gilman Barracks Project and is the Guest Curator Exhibition Event, Singapore Biennale 2013. 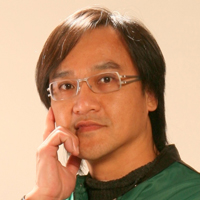 Alex Ng (M.A. in Journalism) is a specialist of visual merchandising. He is also well known by his photo-image writings, editorial experience in photographic magazines and his tutorship in photojournalism. Chief in editing magazines Photo and DC photo, his photojournalism class in Journalism & Communication Faculty, Shue Yan University is a cradle for young talents.”Lying Image”, “Photography as Visual Art” ,”Mastering Photography”, “Photoshop for photographer”, “Mastering Exposure” and up to tens of photography and camera reference books are popular among Alex Ng’s writings. Alexandra A. Seno is Managing Partner of AXS Asia Partners, a boutique Hong Kong-based project management and advisory practice, engaged in thought-leadership, and optimizing execution of content-led projects, primarily in Asia. Clients include Conde Nast Magazines USA, Mars Incorporated, Intelligence Squared, the Asian Development Bank and the British Council. Alex serves on the board of Para Site Art Space Hong Kong, the city’s leading independent arts non-profit organization, and on the executive committee of the Oriental Ceramic Society of Hong Kong. She is also an advisor to Spring Workshop, an innovative privately funded arts non-profit organization. Alex has written extensively on economics, culture and the economics of culture in Asia, and regularly contributes articles and opinion pieces to The Art Newspaper and The Wall Street Journal. Her work has also been published by the Washington Post, the New York Times, Newsweek Magazine and The Daily Beast. John Stanmeyer is a photojournalist and humanist dedicated to social and political issues that define our times. Over the last decade, John has worked nearly exclusively with National Geographic magazine, producing over 12 stories for the magazine and resulting in 10 covers. Between 1998 and 2008, John was a contract photographer for Time magazine, during which time he photographed the war in Afghanistan, the fight for independence in East Timor, the fall of Suharto in Indonesia, and other significant world news events. His years with Time resulted in 18 covers of the magazine. 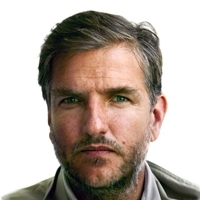 In 2001, he cofounded with six of the world’s leading photojournalists the VII Photo agency. By 2005 VII was listed in third position in American Photo’s “100 Most Important People in Photography.” VII now represents 20 of the world’s preeminent photojournalists whose careers span 35 years of world history. January 2015, Stanmeyer became a VII Distinguished Member. The same month, John brought his ten years of stories with National Geographic to National Geographic Creative while his historic archive of 20+ years of visual history remains at VII. He is the recipient of numerous honors, including the prestigious Robert Capa award (Overseas Press Club), Magazine Photographer of the Year (POYi), and numerous World Press, Picture of the Year and NPPA awards. In 2008, his National Geographic cover story on global malaria received the National Magazine Award. In 2012 was nominated for an Emmy with the VII documentary film series, Starved for Attention and in 2014 was the recipient of the World Press Photo award for his photograph from Djibouti titled, Signal. John has published a number of books including Island of the Spirits, a journalistic/anthropologic look at Balinese culture documented during the five years he lived on the island. His latest book, a VII Photo Agency collaboration titled Questions Without Answers (Phaidon), was released in 2012, chronically the last 30 years of social conflict and change around the world. In 2013, John opened Stanmeyer Gallery & Shaker Dam Coffeehouse in West Stockbridge, Mass, combining photography and education around his passion for brilliant coffee, wrapping the two around ethically procured, human rights-based direct trade coffee with the social issues represented in his photographs. Stanmeyer lives on a farm with his family and many fireflies over summer in the Berkshires of Western Massachusetts.